Anchorage's Denali Strabel flirted with a top-10 finish in Saturday's final race at the World Skyrunning Championships before taking a scary fall. 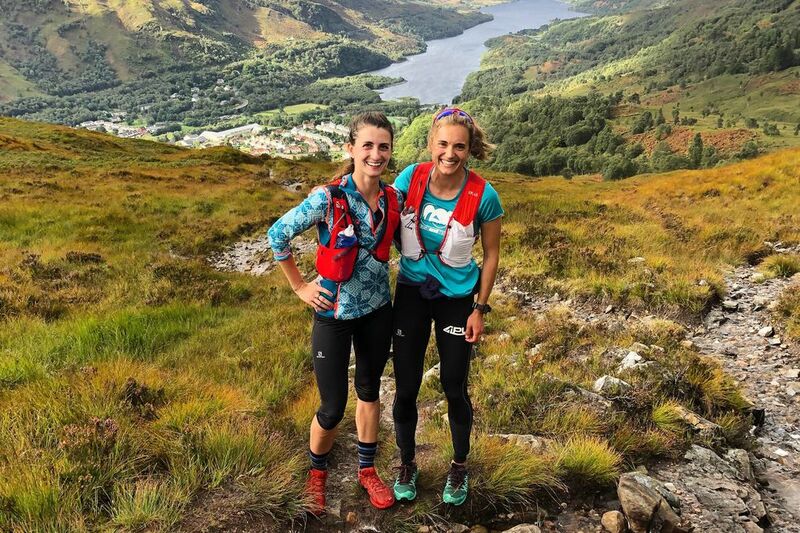 She tumbled and hit her head about halfway through the 29-kilometer Ring of Steall Sky Race in Kinlochleven, Scotland, but she got back on her feet and finished 32nd. According to a tweet from irunfar.com, Strabel was running with a pack of six women who were holding down the sixth through 11th spots at the 12-kilometer mark. She fell a little while later. Lauren Fritz, a Chugiak woman who placed 15th in Saturday's Ultra race at the championships, was among those who came to Strabel's aid. "I ran and kept an eye on her the last hour and half of her race," Fritz said in a post on Strabel's Facebook page. Fritz said Strabel was doing OK after the race. The race challenged runners with 2,500 meters of vertical climb and lots of technical terrain. Taking the overall victory was Spain's Kilian Jornet — the man who in 2015 broke the Mount Marathon record set by Strabel's husband. Jornet, one of the world's best mountain runners, finished in 3 hours, 4 minutes, 34 seconds. The women's victory went to Tove Alexandersson of Sweden in 3:46:28. Strabel, who placed third among Americans, clocked 4:58:19. Ahead of her were fellow Team USA runners Emily Schmitz (19th in 4:34:42) and Dani Moreno (29th in 4:55:13). The race was the second in three days for Strabel, who placed 20th in Thursday's Mamores vertical mile. "I came to Scotland to find the answer to my question…do I belong in skyrunning?" Strabel wrote on Facebook. "At this moment, yes. I was having the best day and having so much fun. I cannot control things like falling, it's a technical trail! "My friend @aklaurenfritz practically saved my life and so did the beautiful people at check point 7. I'll be back for my top ten finish,"
Strabel is married to Eric Strabel, who in 2013 broke Bill Spencer's fabled Mount Marathon record set in 1981. Strabel held the record until Jornet broke it in 2015. A year later, David Norris broke Jornet's record to put the record back in an Alaskan's hands. On Saturday, Jornet took a spill on the final descent of his race and finished with a bloodied chin. He posted a photo on Twitter with this comment: "Once in Alaska they tell me that if you don't finish a race bleeding from some falling, you haven't push enought."